Big Brother Africa 2019 | Season 10 Housemates, News, Contestants, Live Stream, Polls, Nominations: Big Brother Naija Season 3 Start Date Confirmed!! Big Brother Naija Season 3 Start Date Confirmed!! It is all good news because Big Brother Nigeria season 3 launch date and time have been confirmed by the show producers. 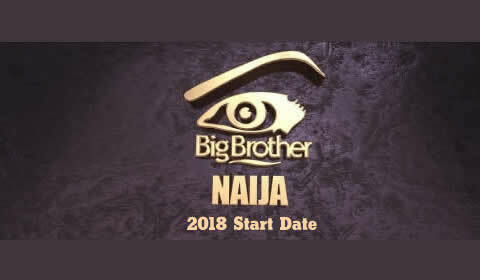 M-Net West Africa has officially announced when the upcoming Big Brother Naija 2018 edition starts with a return for it third season and that means the countdown is on to your favorite reality TV show obsession come Sunday 28, January 2018 with 24/7 hours show time and our daily coverage coming your way! The new Big Brother Niaja 2018 season isn’t far away as M-Net is starting its press announcements and auditions were recently concluded! Planning on enjoying Big Brother from your couch instead? Yeah, me too. Here’s what you need to know to get ready for Big Brother Naija Season 3! The hit reality series of Big Brother Naija, hosted by Ebuka Obi Uchendu, will premiere with a special two-hour episode on Sunday, January 28 at 19:00 on DStv channel 198 and GOtv channel 29!, which will be followed by 24/7 hour-long episodes full of nominations, Head Of House Comps and Live Eviction events plus more. Sadly I may never get my wish to return to the old Sun/Mon routine. The season starts about a week later than last season (formerly on the 22nd) but I’d expect it to end around the same time in late Apirl, maybe around 04/20/17.